Someone stole her muffins, or she's in a general bad mood. 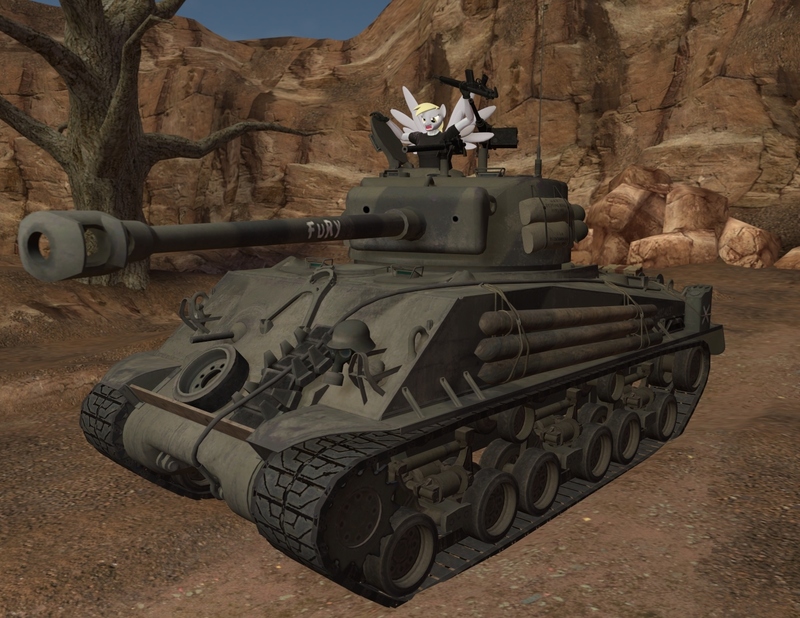 Either way Derpy has a tank. To put it simple: Run! A moving target is harder to hit.